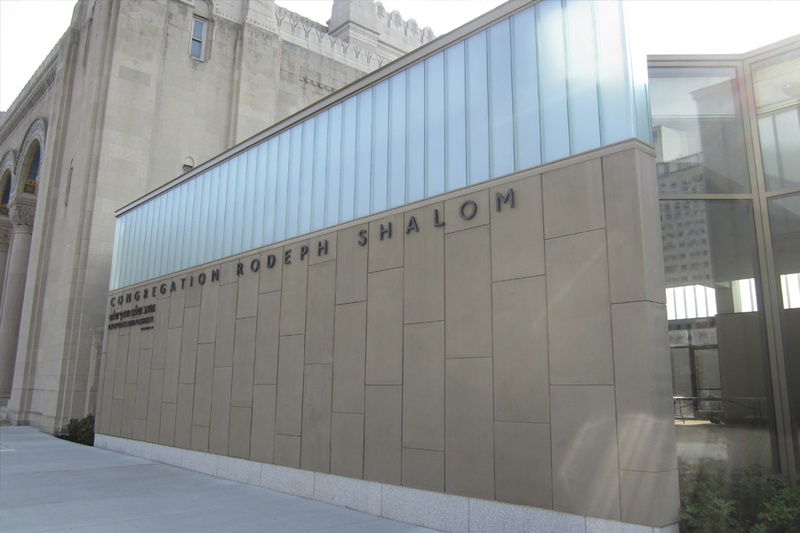 With a steadily growing congregation and a desire to present itself as a welcoming and accessible beacon of prayer, study, and community involvement, Rodeph Shalom was in need of a visionary approach to its new addition. KieranTimberlake incorporated some of the original Byzantine-revival style building’s architectural elements into a sleek, modern, light-filled design that both complements and contrasts the existing architecture. The addition provides much-needed additional teaching spaces, meeting rooms, and multipurpose rooms. Our consulting services on this project were focused on acoustics and noise control for all of the new rooms in the addition. For the larger spaces, we calculated the reverberation times with the proposed finishes and compared them to appropriate design goals. Where necessary, we provided design recommendations for interior finishes, construction methods, and specific products to meet appropriate reverberation times and minimize echoes. In the teaching spaces, offices, and smaller meeting rooms, we worked with the architects throughout each phase of the project and provided design recommendations for interior finishes in an effort to achieve appropriate room acoustics. Sound isolation between rooms, noise control from the exterior environment, and mechanical system noise control were also important issues in these spaces. We reviewed the proposed mechanical system design with the engineers and made general recommendations for duct design and vibration isolation in an effort to meet appropriate sound levels and prepared reports summarizing our recommendations including manufacturer’s product information where appropriate. 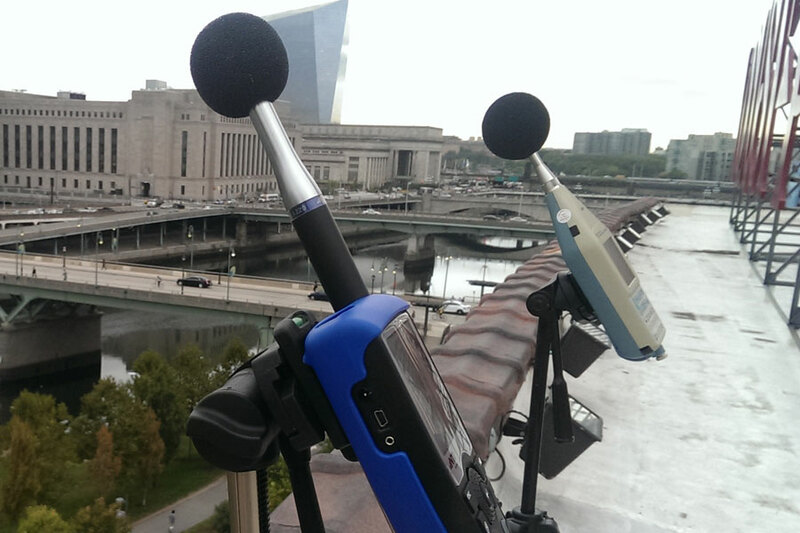 We also performed testing on site to measure sound levels from traffic outside the rooms in closest proximity to the main street. Our design solutions included upgrades to the exterior shell construction to achieve an appropriate sound level inside. Working with the architects from schematic design all the way through construction, and providing design recommendations and testing on site were important factors in the overall success of this project. The acoustics in the interior spaces are outstanding, and the sound isolation goals that were outlined at the beginning of the project were confirmed through testing on site at the end of construction. The building is functional and beautiful and performs acoustically as expected. Eagles are Superbowl Champs! So, what do Acousticians do during a parade?